My response when thinking about what can I responsibly make (which realistically could be nothing! 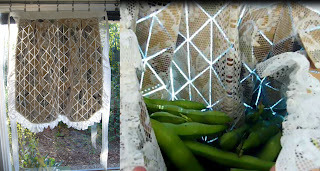 ), was an apron for use within the garden. If I don't really need anything, I might as well have an apron specifically for gathering broad beans. 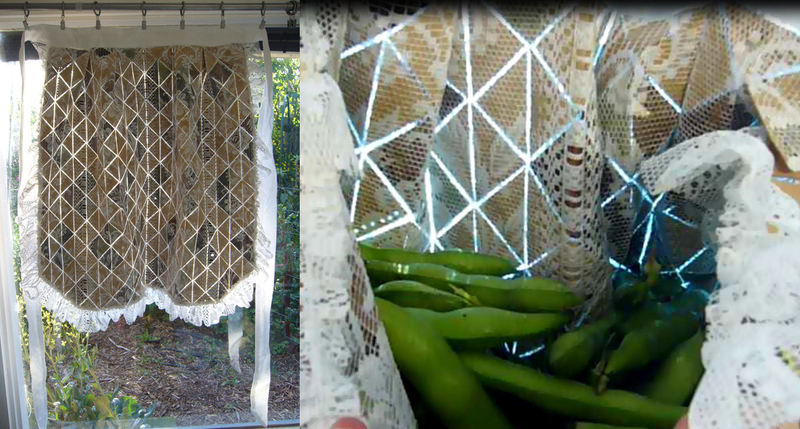 The finished apron is viewed in my reflective space (workroom window) and different perspectives and lighting conditions reveal different things about the nature of this object. This apron gathers, but not just beans.